Hall Piano Company continues providing strategic educational opportunities and building relationships with community business leaders committed to music education in all levels of education through projects like the new Nicholls State University Roland digital lab. 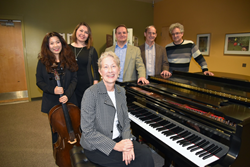 “Piano sponsor Joyce Schenewerk surrounded by NOCCA students and faculty”. With society so divided on the relevance of music education, Steve Kinchen and the team at Hall Piano Company work with all schools- public and private- from K-12th grade and higher education institutions to bring an exceptional cultural experiences to kids who otherwise might never play an instrument the caliber of a Steinway piano. “We’ve successfully transitioned universities like Nicholls State in Thibodaux, Louisiana, to the designation of an ‘All Steinway School’ and are currently working on their Roland digital lab. Our goal is to reach across all socio-economic barriers to touch future artists of all ages with life-changing experiences,” said Kinchen. For example, on December 10th of 2015 public school McDonough 35 High School took delivery of their new Steinway model B and Essex model 116E pianos for their new performing arts building at 4000 Cadillac Street in New Orleans. Jonathan Bloom, Arts & Education Specialist with the Orleans Parish School Board, was the driving force behind McDonough 35’s purchase, along with Ms. Veronica Downs Dorsey, vocal music teacher, who hand selected the pianos with the help of Charlie Dennard of Hall Piano. Fulfilling the bid submitted to the Orleans Parish School Board by Kinchen and Dennard in October, final approval came in December. The Orleans Parish School Board officially dedicated the new McDonough 35 High School with a ribbon cutting and building dedication ceremony on September 23, 2015. The first African-American high school in the state, McDonough 35 was first opened in 1917. Curriculum Facilitator Giselle Wing says the new facility offers additional space for the performing arts and physical education departments, a black box theater, a fitness center, a new kiln for the art department, as well as 3D printers and Robotics equipment for the Science, Technology, Engineering, and Mathematics (STEM) program. A world away yet just across town, a Steinway Model B found its home at the New Orleans Center for Creative Arts (NOCCA) on Monday, January 25, 2016. Hand-selected by Michael Pellera, head of NOCCA’s Jazz Department, the Steinway which retailed for $99,000 in 2015 was funded by long-time NOCCA supporter, Joyce Schenewerk, along with the Steinway Society of New Orleans which contributed $25,000 toward the acquisition. 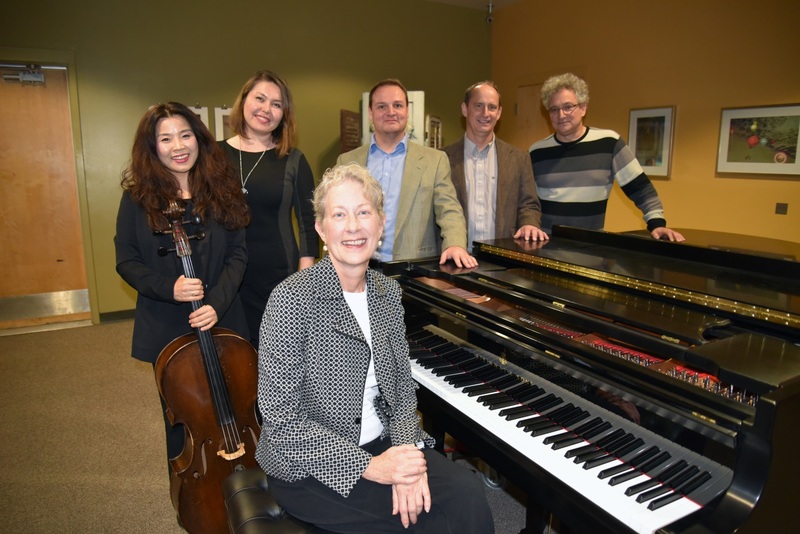 Schenewerk said, "When the opportunity was presented to me last year that NOCCA faculty had located the Steinway of their dreams, I was delighted to make that dream happen. NOCCA is the largest jewel in the city's crown and it is my privilege and pleasure to be part of building its future." Sally Perry, Executive Director of The NOCCA Institute, was also instrumental in securing the funds for this investment, inspired by Michael’s opinion that this was THE PIANO. At a time when music and arts programs are being decimated, Hall Piano Company is providing strategic educational opportunities and building relationships with community and business leaders committed to such programs for music education and enrichment through their “Steinway K-12 & Beyond” initiative. Hall Piano Company has served the region since 1958. As Louisiana’s Premier Steinway & Sons dealer, their services include piano sales and rentals, acoustic and digital piano sales, restoration, moving, piano lessons and method books. For additional information about Hall Piano’s “K-12 & Beyond” initiative contact Emily McWilliams at emilym(at)hallpiano(dot)com or call 504.733.TUNE.